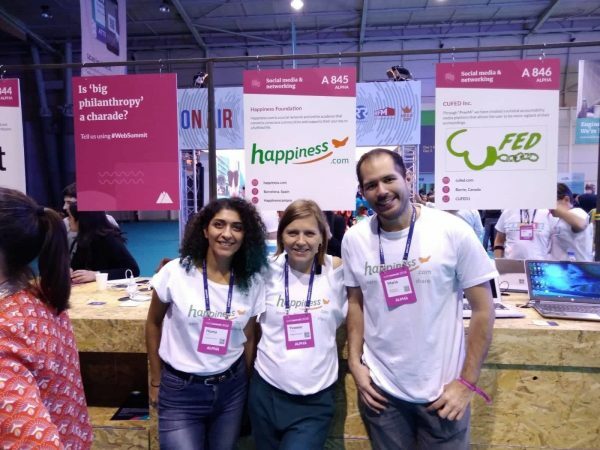 The Marketing team went to the WebSummit in Lisbon, held from November 5th to 8th, representing our brand new community platform Happiness.com with a display booth in the Alpha Startup Section. 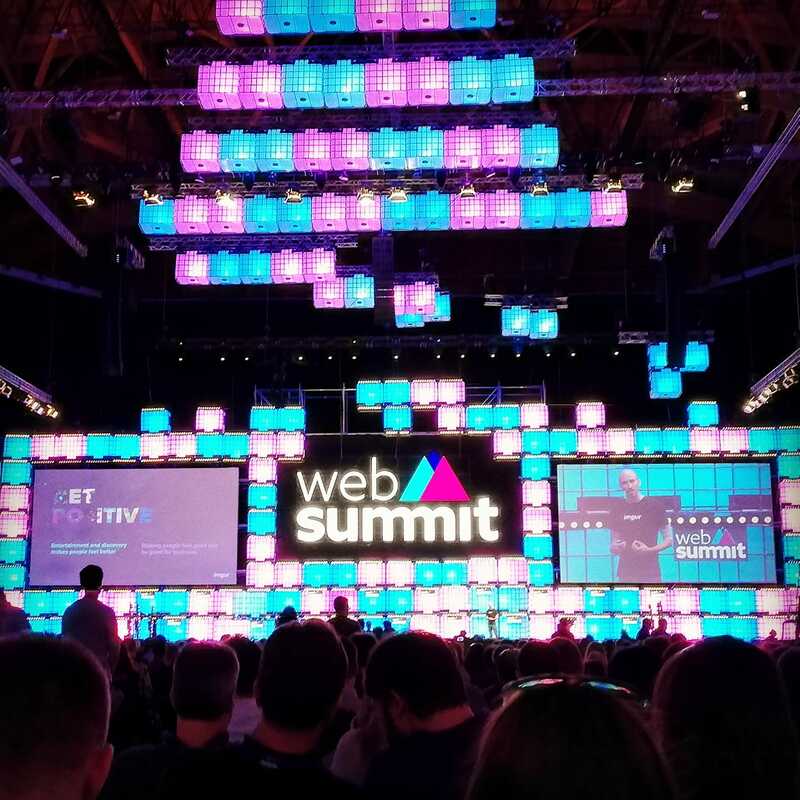 With more than 70,000 visitors in total, in which we could find exhibitors, corporations, speakers and regular attendees, the Websummit accounts for one of the biggest tech conferences in Europe. Even in such a big event, we were fortunate enough to have a privileged position with our booth near the entrance. As a result of this luck coupling with our fantastic domain name and flashy colors, along with the interesting flyers that we handed out we captured the attention of the attendees straight away. It was a great opportunity to get feedback on our new product and to find potential collaboration partners. We met a broad spectrum of people, ranging from investors to teachers, media, users and potential collaborators who showed a candid interest in happiness.com. Even the former owner of the happiness.com domain accidentally passed by our booth. It was like a nice surprise of faith after receiving so many compliments about our domain name and talking about Its story! We were proud to show him that we’re working on making something good out of it. After spending some time at the company exhibitions and finding the chance to discuss happiness, wellbeing and technological developments with many people, we were sure that there’s a great potential in the mind tech and transformative technology industries as we saw that many companies and entrepreneurs are working in these fields either for the improvement of their company’s environment and employees’ wellbeing or to develop these technologies and launch a new product in this field. As a team that aims to bring the best practices and tools to our community, we were very excited to see the possibilities of how we can use technology to bring support to people. 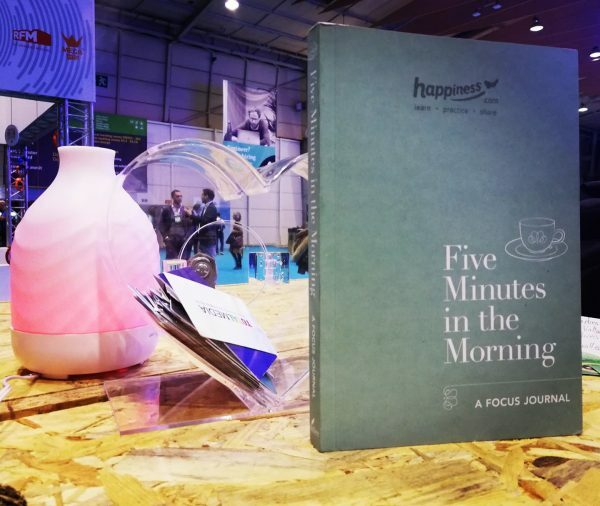 We were also happy to see that happiness.com was seen as a good alternative to the current social media platforms in which most of the people get rather depressed than happy and attracted lots of people synergies with our brand. 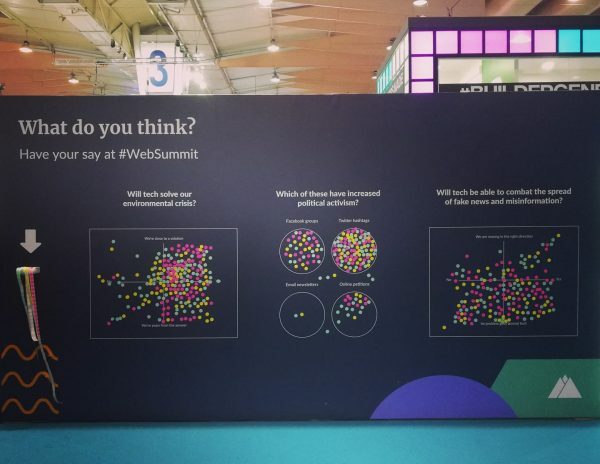 Web Summit is indisputably an enormous event. With so many illuminating speeches, discussions and presentations it was mind-blowing. There are many things that allured us but one of the very interesting things for us to point out that Google promoted the Headspace app, an app that does not belong to them. 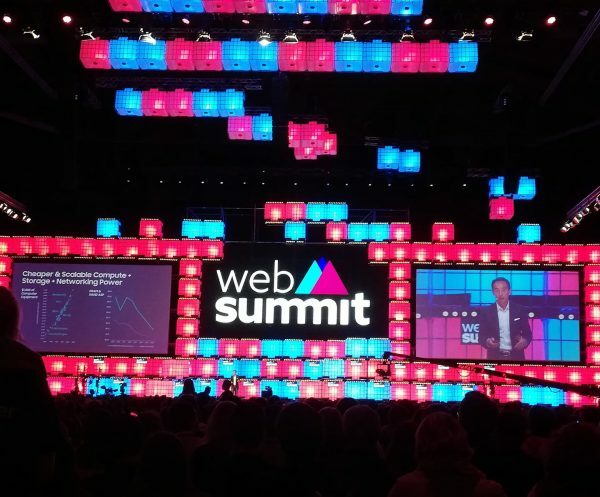 Also, the CEO of the meditation app Calm spoke at several speeches, thus giving us more confidence for believing that the world is ready to explore a product like Happiness.com as people are attracted more and more to this type of technologies and practices. One of our highlights was a Mentor session with Casper Lee (famous Youtuber and influencer) and his business partner Ben Jeffries, the founder of Influencers.com. We received interesting feedback on how to approach influencers and how strategically use the features in our site to work with influencers in gaining more users into our communities. 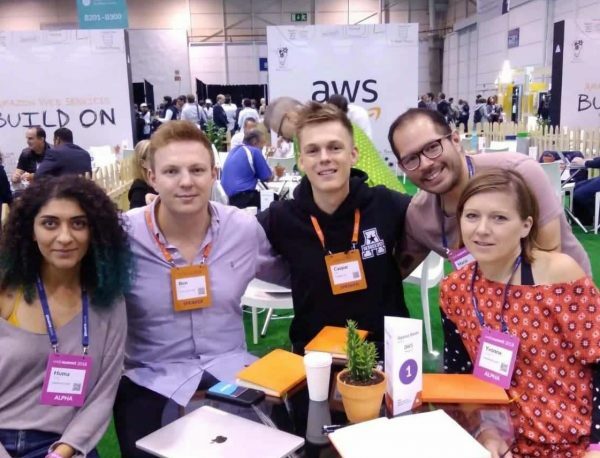 Overall the WebSummit was a great opportunity for us to get more clearance about Happiness.com, hear people’s feedbacks and observe their expectations closely as well as meeting with many people that we can collaborate to bring even better tools to people and happiness to more people.